Is this an add for Trolls? 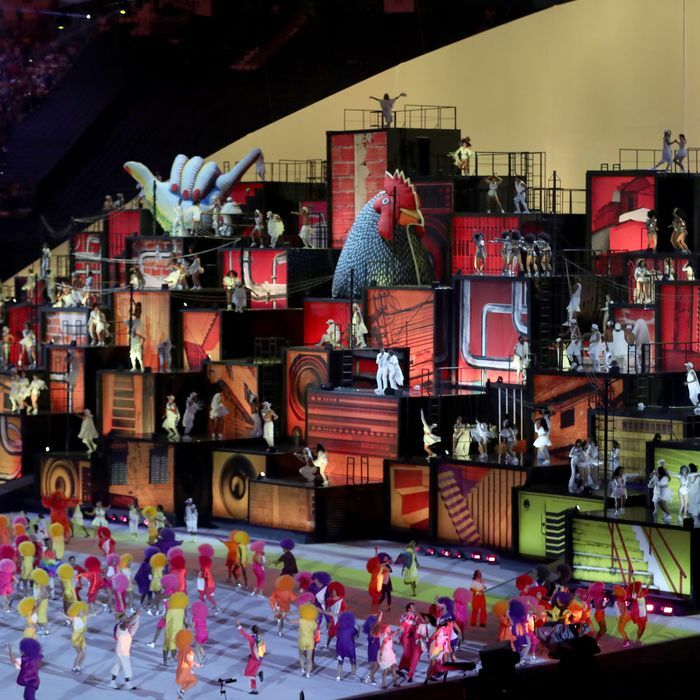 Brazil had a lot to prove with its budget-friendly Olympics opening ceremonies, as it launched one of the world’s biggest sporting events amid concerns about … well, pretty much every aspect of the nation’s preparation. To that end, the ceremony — directed by filmmakers Fernando Meirelles, Daniela Thomas, and Andrucha Waddington — leaned into the country’s complicated story, portraying everything from its colonial history to the modern challenges of urbanization. Of course, there was also a big dance number and a showstopping catwalk from Gisele Bündchen. Brazil knows how to throw a party. 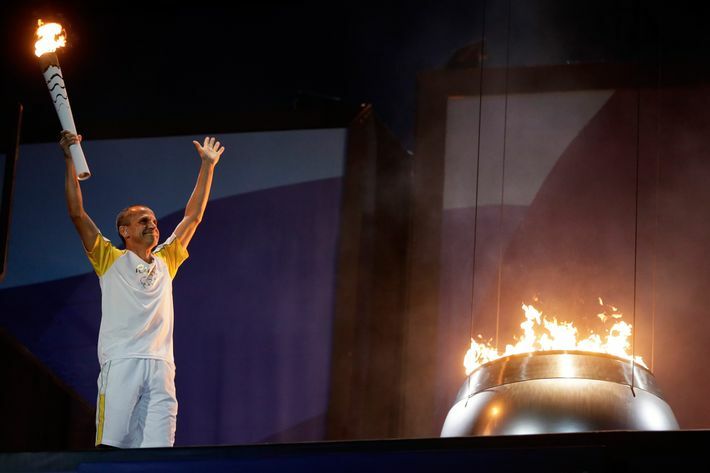 Below, some of the ceremony’s biggest moments. An opening that seemed less Brazil and more Brazil. 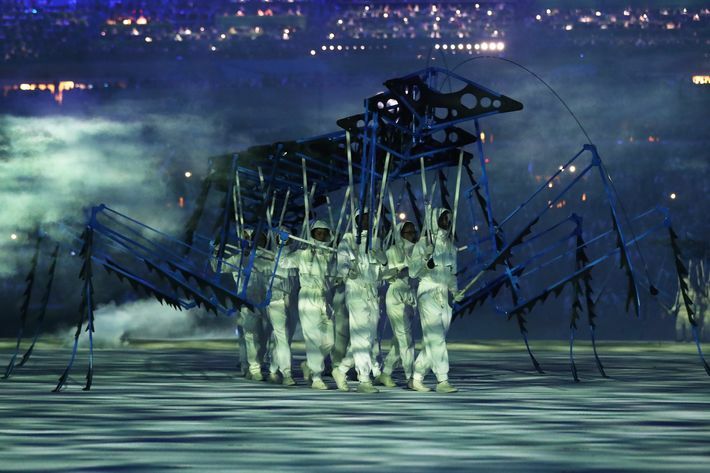 The ceremonies began in the primordial seas, with performers piloting robotic crab creatures in some strange, semi-futuristic performance art. A dive into the country’s colonial history, and NBC’s fumbling attempts to describe it. As dancers reenacted the legacy of the slave trade, NBC’s anchors struggled to come up with ways to describe Brazil’s past. The cities have risen, and the people have learned to dance within them. The supermodel walked down the catwalk to “The Girl From Ipanema” for a full 90 seconds. Look at that confidence. 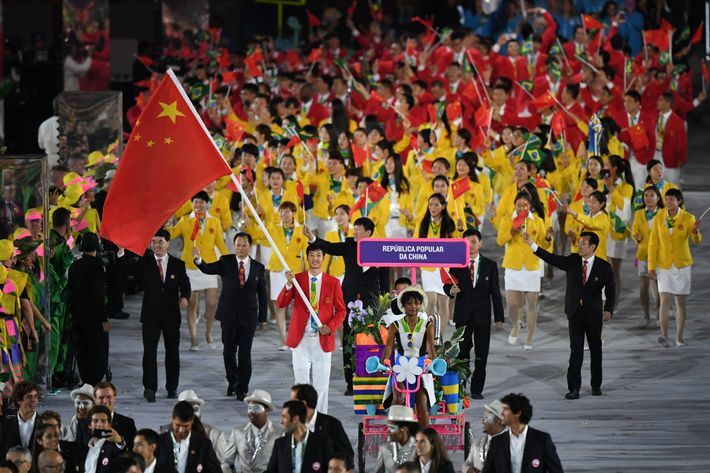 There was more discussion of climate change during the opening ceremony than you would ever hear in American politics. Dance like the world is ending, because [checks above] it really is. 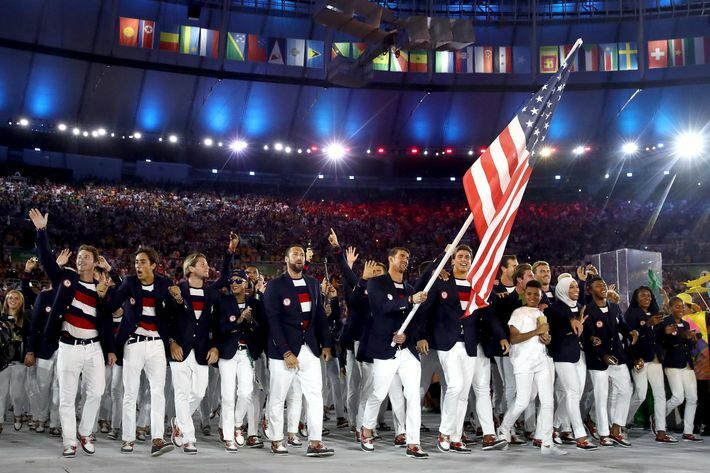 And, of course, the great Parade of Nations uniforms. Now, we couldn’t pull out every look from the crowd, but here are some of Vulture’s favorites. And Tonga, a glistening meme in the making. The home team took the field in some of the night’s best hats. 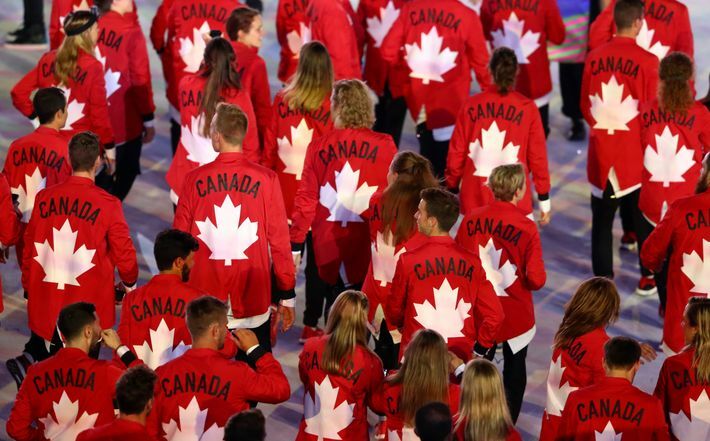 Blazers are often a crucial part of the Parade of Nations ensembles, and Canada took the literal route this year. While the delegation from Thailand went the jazzy route in gold. 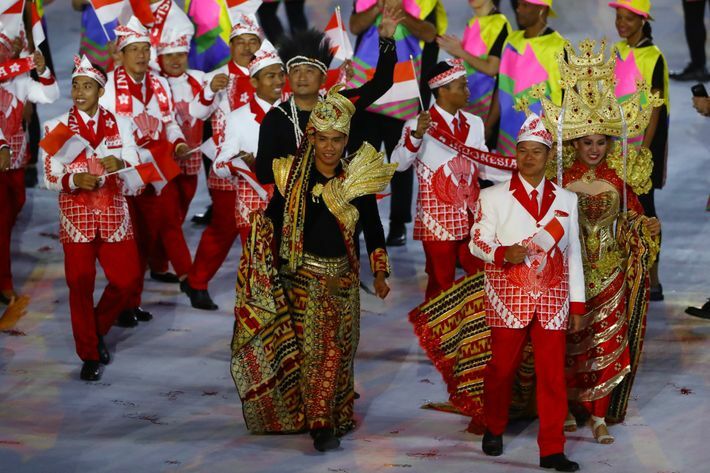 But Indonesia won the unofficial jacket competition in these extra-festive numbers. 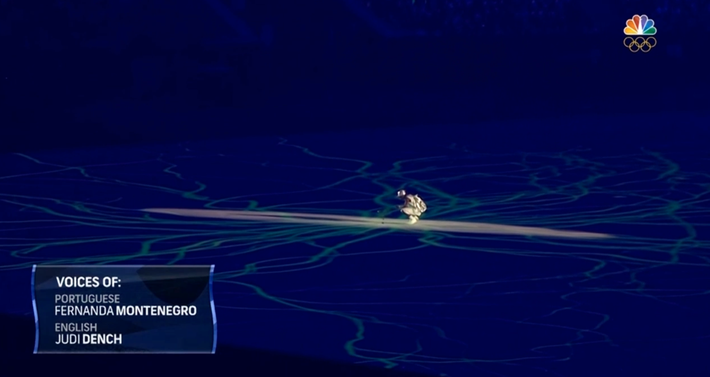 Then NBC made it geopolitically weird again when China came out. Photo: PEDRO UGARTE/This content is subject to copyright. Finally, Brazil organized the parade with some great whimsical bicycles. The Olympics: Brought to you by Willy Wonka. 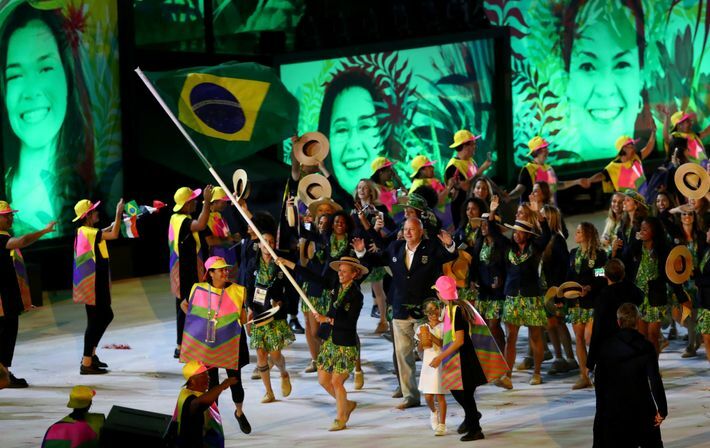 And with the Parade complete and the Olympic cauldron lit, the 2016 Games in Rio are officially underway.